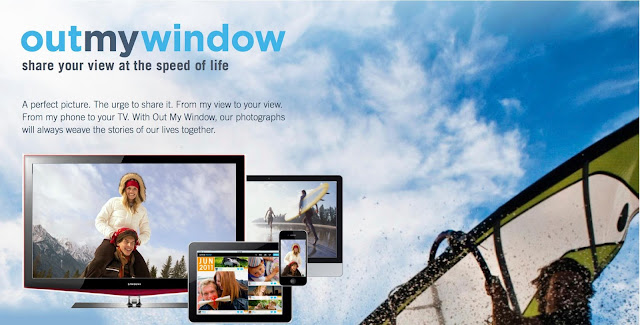 A Borderline Mom: Experience the New Photo Sharing Website Out My Window! Experience the New Photo Sharing Website Out My Window! When was the last time you wanted to share a photo with your friends and family but were worried about the whole world seeing it? With Out My Window you can capture all your precious moments and easily delegate who gets to see them. I love how easy and convenient Out My Window is! It's simple to upload your photos and share them with only the people that you want to. Although I'm pretty comfortable putting most photos on Facebook, some of my relatives aren't on Facebook, so usually I have to email them every photo, which involves the hassle of resizing them so they aren't huge in the email, plus it's tedious that if they want to look at them again they have to login to their email each time and locate the email.